Error: pandoc version 1.12.3 or higher is required and was not found (see the help page ?rmarkdown::pandoc_available). Does it get you something ? Yes it does get a path to a folder called Pandoc but i cant find the folder when i look for it. What is the folder ? Is it the one from your last Rstudio installation ? And where is installed you RStudio IDE ? If it is the same folder, I think you should try to reinstall. 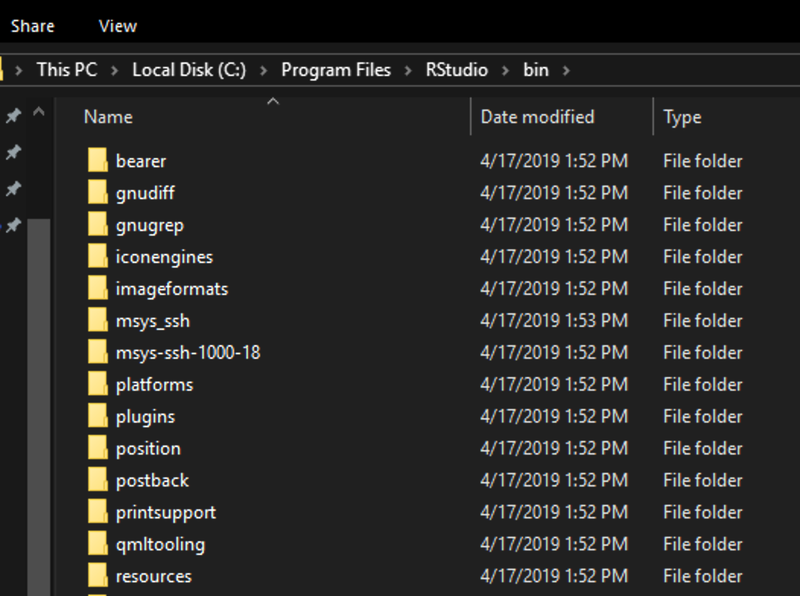 have you check where the IDE is installed and see if pandoc is in the bin folder ? At least, It is included in the portable bundle - I just checked. I just downloaded Pandoc from the its website https://github.com/jgm/pandoc/releases/tag/2.7.2 and manually put the pandoc folder in the bin directory.